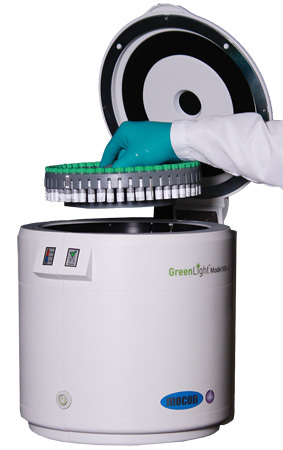 The GreenLight™ Model 930 system is ideal for companies looking for the benefit of same-day resultsTM when processing large numbers of samples for aerobic bacteria counts. The GreenLight™ Model 930 system is ideal for companies looking for the benefit of same-day resultsTM when processing large numbers of samples for aerobic bacteria counts. Its advanced measurement technology, combined with labor and consumable savings, speed to result, high throughput, and flexibility makes agar plates and films obsolete. This computer driven system is perfect for companies screening meat, seafood, fresh produce, dairy, nuts, spices and other foods as well as beverages, sanitary sponges or swabs.